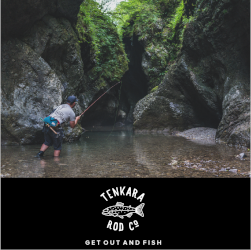 A few posts ago, I wrote about my initial impressions of the Tenkara no Oni rod and this weekend, I finally got a chance to give it a workout on Clear Creek outside of Golden, CO. Not only was the fishing great, but my field test confirmed a lot of what I had expected of the rod. 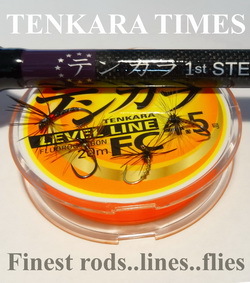 I usually fish a #4 line but Tenkara no Oni fishes much lighter lines (#1.5 – #3). The lightest level line I had laying around was a #3 so I used that. 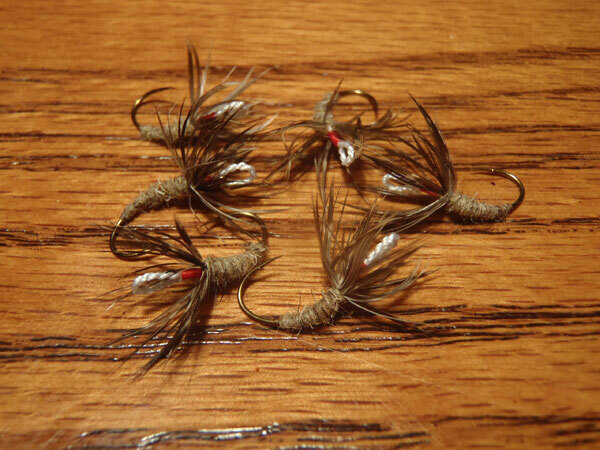 He is also notorious for using longer lines so I made a 20 ft. line plus 3 ft. of tippet. 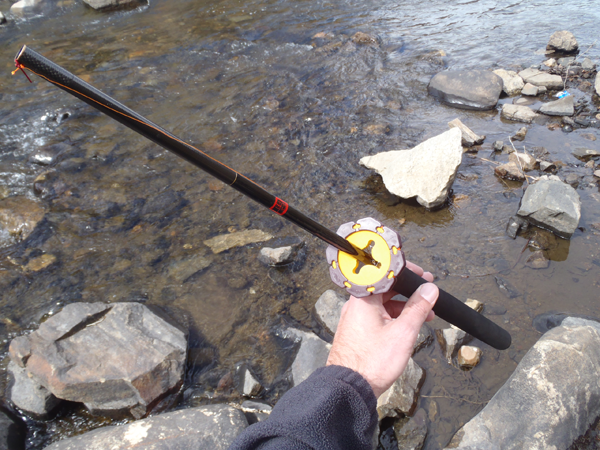 While I had done quite a bit of test casting in my backyard, I was excited to finally get the rod on the water. You can tell a fair amount about the personality of a rod just by casting it, but there’s no substitute for actually fishing it. I’m happy to report that the rod not only met, but exceeded my expectations. The action of the rod is really suited to longer, lighter lines (after all, that’s what is was designed for) and I was amazed at how easy it was to cast a 20 ft. #3 line. I’d still like to try it with a lighter line just for curiosity but can’t see any reason why I should go below a #3. Delicacy is usually irrelevant in my presentation but wind is a frequent companion so I can’t see any advantage to dropping the diameter. Stil, I will try it eventually just to challenge myself. 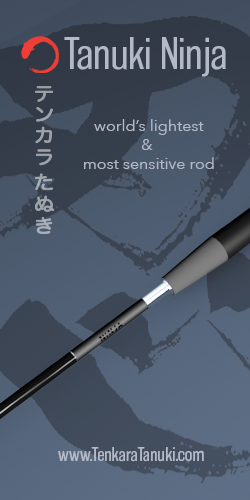 That quote pretty much sums up the feel of the Oni rod. It feels like a “magic wand” that does your bidding almost just by thinking about it–it’s that intuitive. 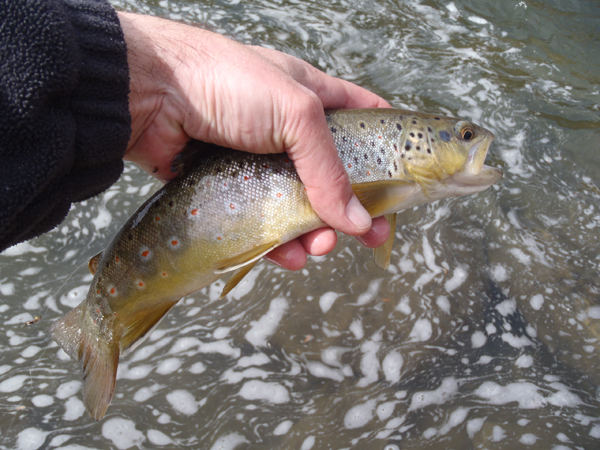 Also, as predicted, the lightness in the hand was a pleasure to fish with. I only fished for about 3 hours so fatigue wouldn’t be an issue but the whole time I was thinking in the back of my mind how it felt like I was holding nothing heavier than a magic wand in my hand. It’s still amazing to me how a 13 ft. rod doesn’t feel tip heavy without the counterbalance of a reel. 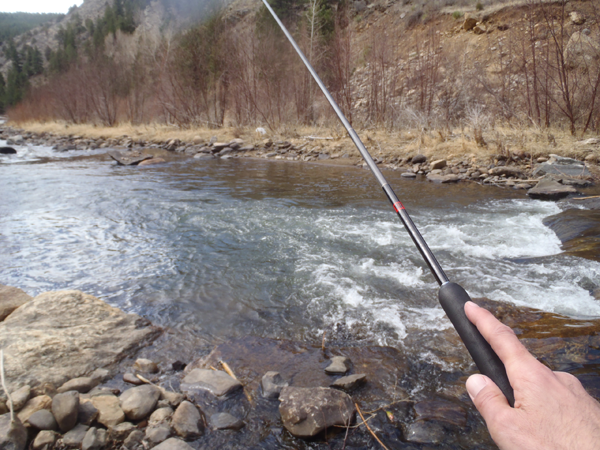 I can’t explain it but it almost feels like the top segments of this rod are filled with helium and are “floating” as you cast. In my initial review, I did express some concerns about the foam grip. I’m not a big fan of foam because I think it’s ugly, but my main concern here was that the handle isn’t really contoured and is (in my opinion), very thin. My hand starts to cramp up if I have to grip a handle that is too thin. For whatever reason, that didn’t happen with this rod. Of course, I didn’t fish a full day with it but it was much more comfortable than I would have thought. I guess Tenkara no Oni has put a lot into this design and has settled on that shape for a reason. Still, I would prefer a cork handle. But the action is so good, I’m willing to overlook it. Oh yeah…the fishing! The fishing was great! 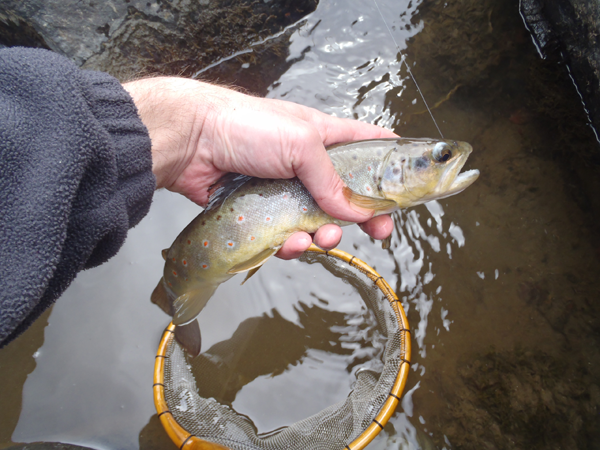 I landed about a dozen browns all on a #12 dark Kamikaze Kebari or a #7 loop eye hare’s ear kebari. 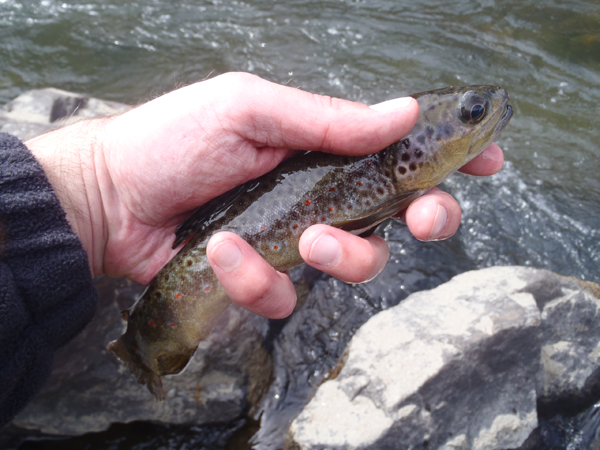 I used the downstream twitch presentation exclusively and the trout were very cooperative. Overall, it was a great day. 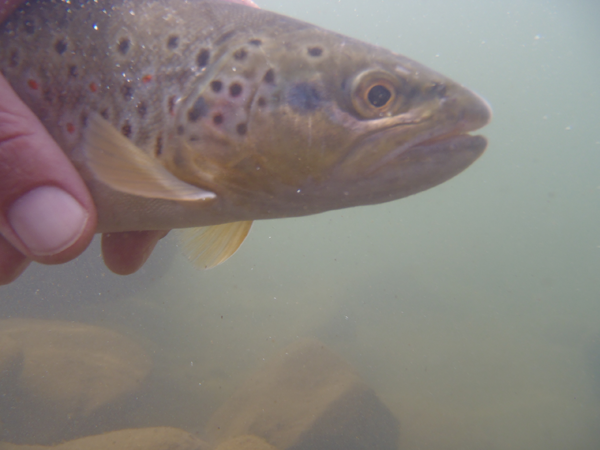 The weather, gear, and fish all cooperated to grant me a much needed timeout from work, bills, & illness. And I’ll take that whenever I can get it. 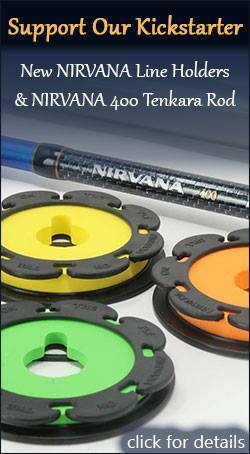 Glad you like this rod someday I may have to try one but I have another one on order from Japan that will be here soemday soon hopefully. 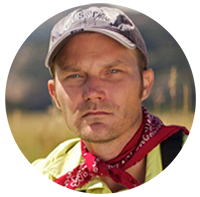 I really enjoy your videos and insights. 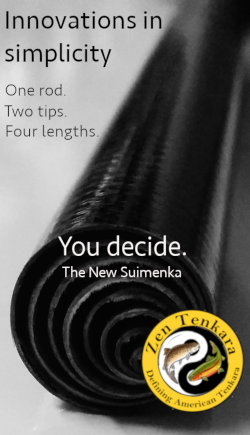 Working on getting myself converted to Tenkara. This really helps me with understanding the tie-ins on the rigging. PS. The snow is coming. Nice that you got out. 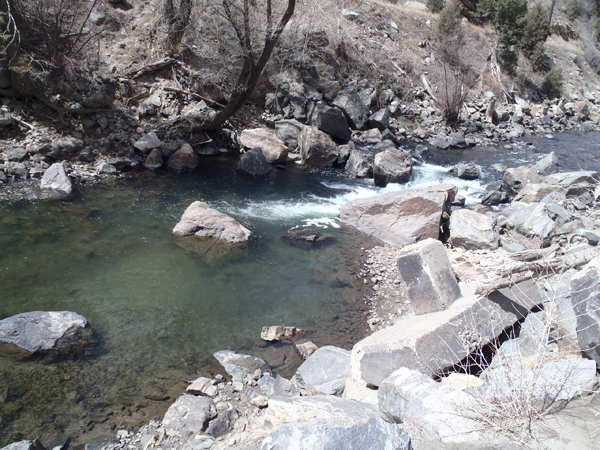 I am so Jonesing to go fishing.. Stupid snow storms in April.. bah! Scott, mine was $350. But I know Masami is working on lowering the price for the new models. Either way, I’d say the price is worth it. His designs aren’t just “good”. They’re incredible. Where can I purchase this rod, I live in the UK! And up to what size fish can you handle with it.